Winter inventory was completed long ago. I live in the northeast which has had a notoriously snowy winter. Many an hour has been spent in snow removal, few hours knitting anything “new”. I have completed some hand knitting projects, and as one, I attempted re knitting a lace shawl successfully completed multiple times before. 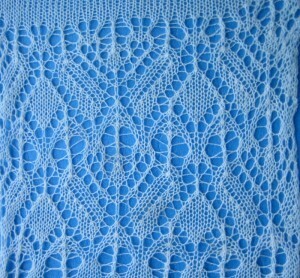 Having trouble tracking its complicated pattern, I journeyed back to taking “another look” at machine knit lace. 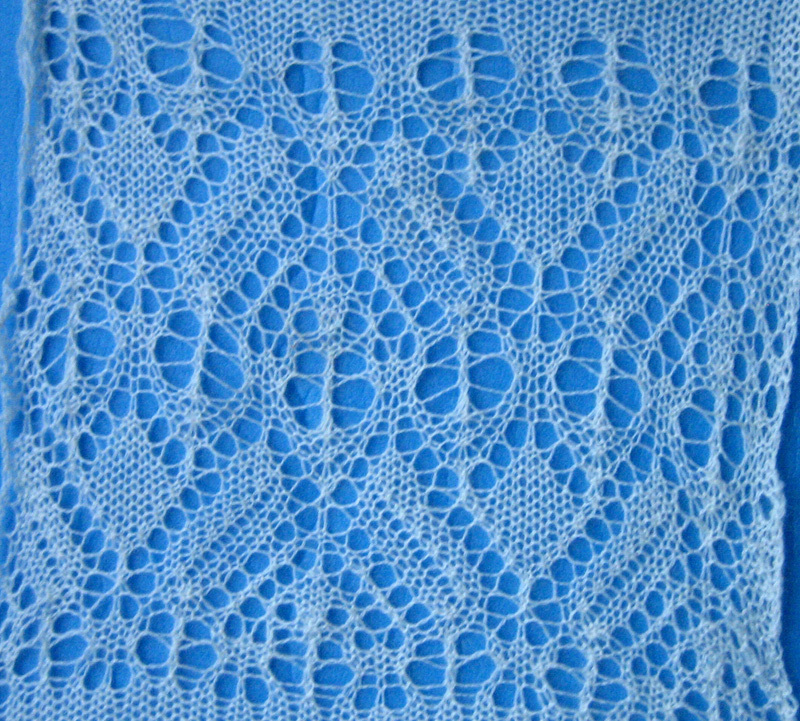 Multiple transfer lace on the machine can be slow, tedious, and requires patience in original set up, as one must have yarn that tolerates transfer across fixed metal parts without breaking and the “perfect” weight to allow stitches to knit off properly. 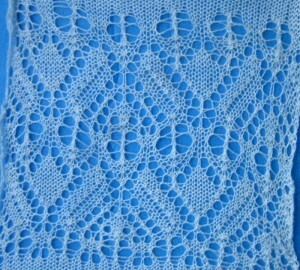 Though I like designing my own stitch patterns this is not anything I am ready to do in lace. 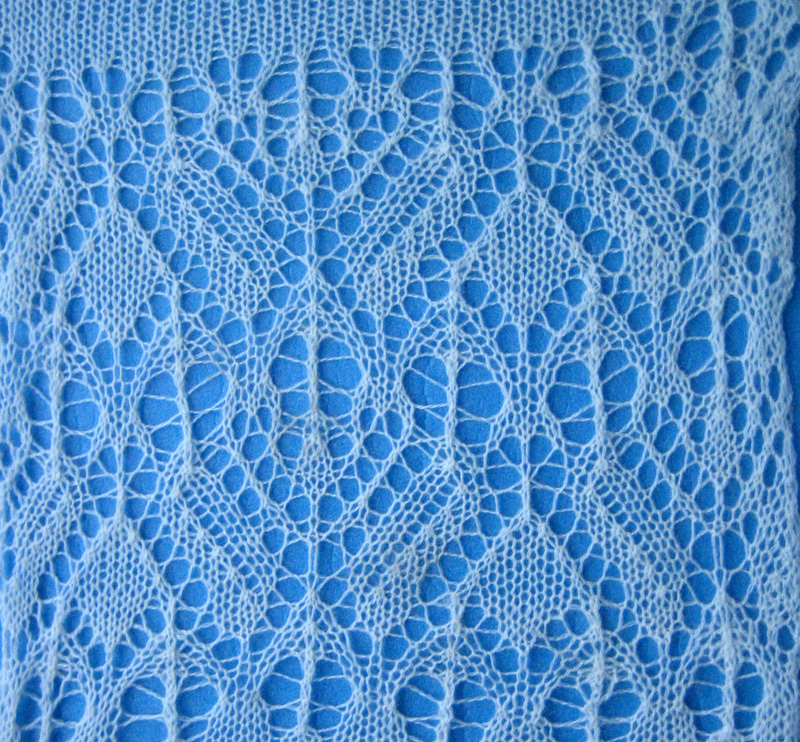 The first foray in my explorations resulted from a discussion on a knitting yahoo group I belong to with regards to a lace chart published at in 2 parts.